Liverpool defender Dejan Lovren has taken a swipe at rivals like Manchester City and Manchester United by claiming that it takes more than just money in order to get success. Liverpool have been able to finish in the top four while qualifying for the final of the Champions League in Kiev. The Reds will be taking on Real Madrid looking to win the Champions League for a sixth time. Even though Manchester City have set new records in the division, they have once again failed to get the results when it comes to Europe. This is despite manager Pep Guardiola being given clear instructions to concentrate on Europe. The former Barcelona and Bayern Munich manager brought in a raft of new signings at expensive and inflated prices. Manchester United had also gone through a similar summer by bringing in the likes of Romelu Lukaku. However, Jose Mourinho has failed miserably with the team finishing a distant second – rather than a close second – to Manchester City. Even though United can still win the FA Cup and redeem their campaign, it is still a major disappointment that the team has been unable to get much of a foray in terms of a title challenge. Europe was also quite disappointing for the Red Devils. Ironically, however, Lovren was brought to Liverpool for around £20 million back in 2014 and it was quite an expensive acquisition back then. 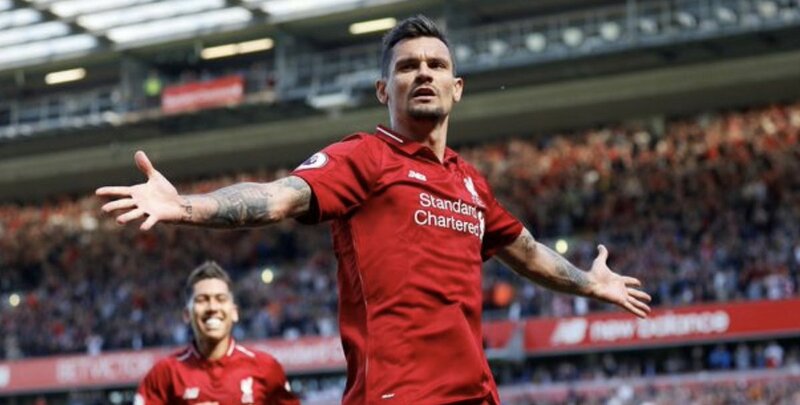 After struggling for form in his first few years at the club, Lovren is one of the established centre backs at Liverpool and he is expected to start the Champions League final against Real Madrid. Aside from this massive game, Lovren can also look forward to the World Cup 2018. The Croatian defender will look to help Croatia get out of the group that comprises of Nigeria, Argentina, and Iceland. Croatia are second favourites to get out of the group, according to World Cup tips. “There are teams spending a lot of money and buying top players from all over the world but it is not about money – it is about your team-mates,” said Lovren. Liverpool were able to regain momentum with the 4-0 win over Brighton on the final day. The victory was of paramount importance, as it helps overshadow the losses against Roma and Chelsea going into the game against Real Madrid.